RFID Bloggy'n Tips: We are 10 years old! Time flies and we have grown from an incubatee to a worldwide leading RFID product designer and solution provider! 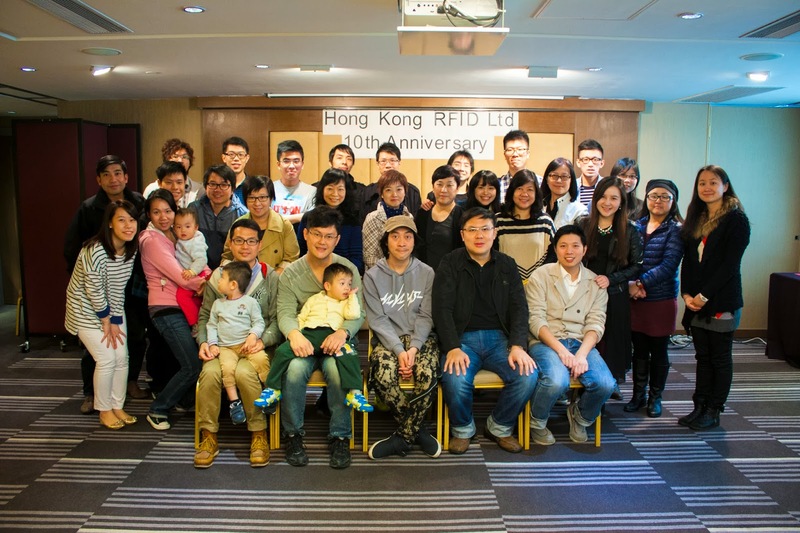 To celebrate the 10th Anniversary of Hong Kong RFID (HK-RFID), 50 members and friends gathered at The Cityview Hotel at the company annual party. The party was kicked off by Mike’s thank you speech to all current and previous employees for their contribution to HKRFID success. Everyone enjoyed the delicious buffet lunch and mini-games prepared by the HR department. The party came to a climax when everyone received a red pocket from the lucky draw session! Lastly, the group photo had marked the end of the joyous day! Here, we would like to share our happiness and joy with you all!